Having come under fire from opposition parties – most notably the Liberal Democrats – the incumbent Labour Government has finally announced revisions to its proposed feed-in tariffs (FITs). The tariffs are available to any household, business or community that generates electricity from various renewable sources, such as solar panels and wind turbines. Essentially, this means money is paid to those who produce so-called ‘green’ power which can be fed back into the National Grid. Secretary of State for Energy and Climate Change, Ed Miliband, claimed the new feed-in tariffs demonstrate Labour’s ambitiousness in bringing small-scale low-carbon electricity generation online. Predictably, however, the proposed feed-in tariffs have attracted strong criticism on a number of fronts. 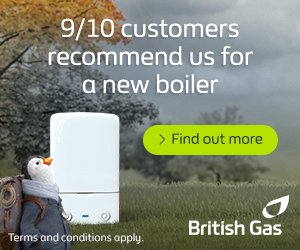 The new feed-in tariffs offer fixed prices for a set period of time. In terms of numbers, retro-fitted solar photovoltaic panels (PV) will attract the highest feed-in tariff of 41.3p/kWh, whilst micro-wind turbines will be subject to a tariff of 34.5p/kWh. 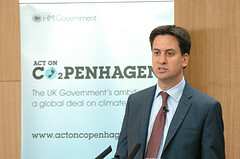 According to Mr Miliband, the plans “represent a significant level of ambition and are comparable to countries that are leading in this area”; in fact, Mr Miliband also claimed a typical domestic installation of a 2.5 kilowatt peak photovoltaic system would earn the household £900 each year and save £140 on its annual electricity bill. Whilst these numbers may seem appealing, there remains a degree of uncertainty as to how realistic they are, which clouds the issue of return on investment. Based on Mr Miliband’s £900/year prediction, the ROI is likely to fall somewhere between 5 and 8%, which is considerably short of the Renewable Energy Association’s target of 10% (which happens to be the typical level in Germany). Perhaps the most contentious issue surrounding the Government’s new feed-in tariffs is that of its ambitiousness in terms of overall production; indeed, despite the increased tariffs, Mr Miliband has stressed the aim to produce 2% of the country’s electricity via small-scale low-carbon systems (or ‘microgeneration’) by 2020 remains unchanged. Campaigners claim that a 6% output is realistic, which may appear insignificant but is actually the equivalent of two Sizewell B sized nuclear power stations. Therefore, it would seem microgeneration is not a top priority for the current Labour Government.